Many of us use our gym time to achieve multiple goals – we work out to get stronger, build lean muscle, and burn fat as much as we can; but the gym is not the be-all-end-all of fitness, nor is it the only way for you to effectively burn calories and subsequently eliminate belly fat. There are plenty of other ways you can lose weight. Also, you don’t even have to take up another sport or follow a rigorous cardio routine, as your metabolism keeps burning calories well-after you have left the gym. Here is how you can burn calories effectively outside the weight room. 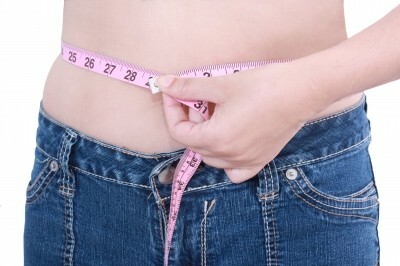 What constitutes healthy weight loss? While you should work hard at burning as much fat as possible on a weekly basis, you should know that there is healthy and unhealthy weight loss. According to medical professionals, you shouldn’t aim to lose more than half a pound to one pound of weight per week. By following a calculated diet approach entailing a balanced amount of proteins, fats, and carbohydrates, you should have no problem dropping fat steadily. However, keep in mind that to lose one pound of weight, you will need to burn approximately 3,500 calories, so working on burning off some extra energy outside the gym is always a good idea in order to reach your goals. Simply walking to the grocery store, taking a walk around the park, or walking to your destination whether it’s to meet up with friends or going to work, can be an excellent way to burn extra calories throughout the day. However, how many calories you lose will depend on a number of factors. You will need to consider your weight, walking speed, and the distance you travel. For instance, a 180-pound person should burn approximately 100 calories per mile. You will have to factor in your own weight, particularly if you are a bodybuilder or a strength athlete, as you are bound to burn even more calories due to your frame and overall mass. Cycling is one of the best ways to stay active throughout the week, and especially on your days away from the gym. It’s fun, it’s challenging yet relaxing, and it can become a hell of a cardio workout if you want it to be. What’s more, it can completely eliminate the need for an added cardio session after your main workout. Again, you will have to factor in your weight, cycling speed and intensity, and the distance you travel. However, you will also have to factor in the type of bike you are riding and the equipment you’re using. You can find all of the equipment you need to make your cycling as easy or as difficult as you need it to be at an online bike store in order to optimize your calorie expenditure. Expect to burn anywhere from 600 to 1000 calories per hour of cycling. You might also be an avid runner, taking joy in lacing up your running shoes and taking on the urban jungle. From jogging through the streets to full on sprinting through the park, running can be an amazing workout and it can help you shred fat steadily and effectively. You can expect to burn anywhere between 100 and 130 calories per mile while running or jogging at a steady pace – there really is no difference in energy expenditure between the two. You will however, have to take your weight into account. If you have a massive frame, boasting more than 250 pounds of mass, you want to avoid running altogether in order to save your knee and lower body in the long run. Did you know that your body is expending energy while you’re sleeping or lounging on the couch doing nothing? Granted, it’s much less than if you were cycling or walking, but it’s still something. In fact, depending on your weight, you can burn anywhere from 42 to 100 calories at least while sleeping, simply due to the fact that your metabolism uses energy to maintain the essential functions in your body. This value rises greatly if you follow a healthy diet plan and a rigorous training split throughout the week, as your metabolism is greatly heightened for 24 to 48 hours after working out. Use this window to maximize your calorie expenditure. All in all, you can rest assured that the gym is not the only place where you can drop weight effectively. By simply going about your day and adopting some healthy habits, you can maximize your calorie expenditure and transform your physique without sacrificing precious time in the gym.